It seems that the pair got back together. 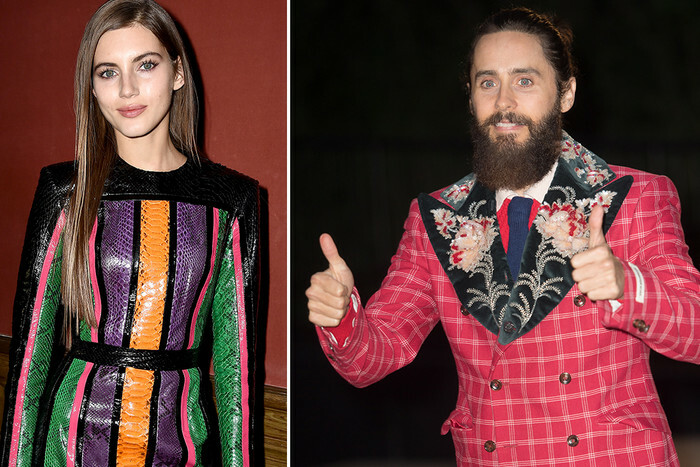 Jared Leto met Russian model Valery Kaufman two years ago, but then no one believed that this affair will turn into a serious relationship because of age difference, constant traveling and the Jared's status as a confirmed bachelor... And indeed, soon the lovers stopped appearing together in public. Since then, little was known about Jared Leto's personal life, and indeed the star of "Dallas Buyers Club" did not try to comment on something. And what was the surprise of fans, when photographers caught the actor, preparing for the Thanksgiving Day with ... Valery Kaufan. A couple purchased products at a supermarket in Calabasas. It is obvious that the holiday weekend Leto and Kaufman decided to spend together. And who is Valery Kaufman? - immediately asked fans.